This article is about the London Underground station. For the National Rail station, see Charing Cross railway station. For the London Underground station formerly known as Charing Cross, see Embankment tube station. Charing Cross (sometimes informally abbreviated as Charing X) is a London Underground station at Charing Cross in the City of Westminster. The station is served by the Bakerloo and Northern lines and provides an interchange with Charing Cross mainline station. It has entrances in Trafalgar Square, Strand and in the mainline station. On the Bakerloo line it is between Embankment and Piccadilly Circus stations and on the Northern line it is between Embankment and Leicester Square stations. The station was served by the Jubilee line between 1979 and 1999, acting as the southern terminus of the line during that period. The station is in fare zone 1. 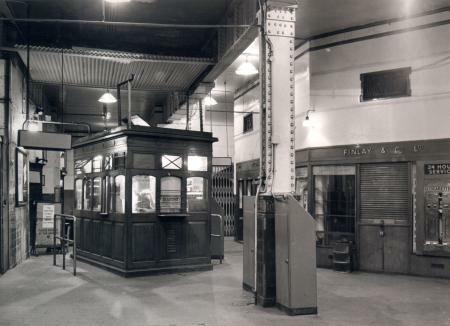 Charing Cross was originally two separate stations, known for most of their existence as Trafalgar Square and Strand. These were connected and given the current name when the Jubilee line opened. The station is close to the National Gallery, the National Portrait Gallery, Admiralty Arch, St Martin-in-the-Fields, Canada House, South Africa House, the Savoy Hotel, The Mall, Northumberland Avenue and Whitehall. The Northern line and Bakerloo line parts of the station were originally opened as two separate stations and were combined when the now defunct Jubilee line platforms were opened. The constituent stations also underwent a number of name changes during their history. 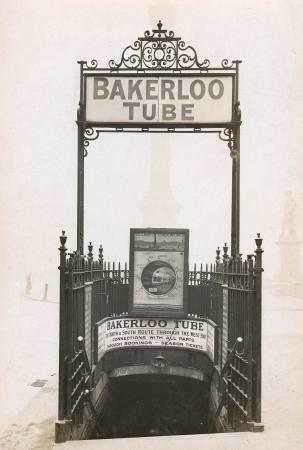 The first part of the complex, the Bakerloo line platforms, was opened as Trafalgar Square by the Baker Street & Waterloo Railway (BS&WR) on 10 March 1906. 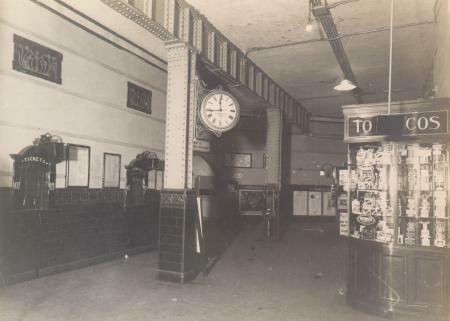 The Northern line platforms were opened a year later, as Charing Cross, by the Charing Cross, Euston & Hampstead Railway (CCE&HR, now the Charing Cross branch of the Northern line) on 22 June 1907. At its opening this station was the southern terminus of the CCE&HR which ran to two northern termini at Golders Green and Highgate (now Archway) tube stations. 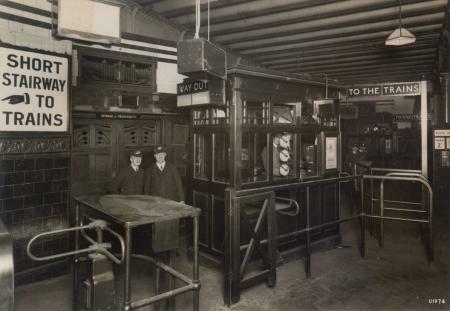 Although both lines were owned and operated by the Underground Electric Railways Company of London (UERL), there was no direct connection below ground and passengers interchanging between the lines had to do so via two sets of lifts and the surface. 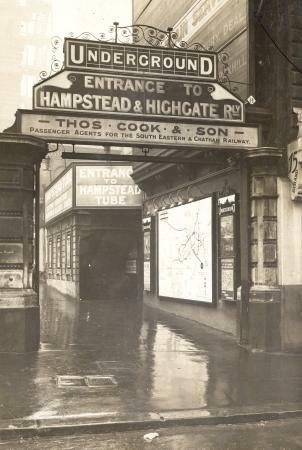 In an effort to improve interchange capabilities, the CCE&HR was extended the short distance south under Charing Cross main line station to connect with the BS&WR and the District Railway (another UERL line), opening as such on 6 April 1914. The interchange station between the BS&WR and District had been known hitherto as Charing Cross (District) and Embankment (BS&WR). The original CCE&HR terminus to the north of Charing Cross main line station was renamed Charing Cross (Strand) and the new station and the BS&WR station to the south of the main line station was named Charing Cross (Embankment). These names lasted only a short time: on 9 May 1915, Charing Cross (Strand) was renamed Strand and for Charing Cross (Embankment) the tube lines adopted the District Railway name of Charing Cross. At the same time, the separate Strand station on the Great Northern, Piccadilly and Brompton Railway was also renamed Aldwych to avoid confusion. The Northern line Strand station was closed on 4 June 1973 to enable the construction of the new Jubilee line platforms. These platforms were constructed between the Bakerloo line and Northern line platforms together with the long-missing below-ground interchange between those two lines. 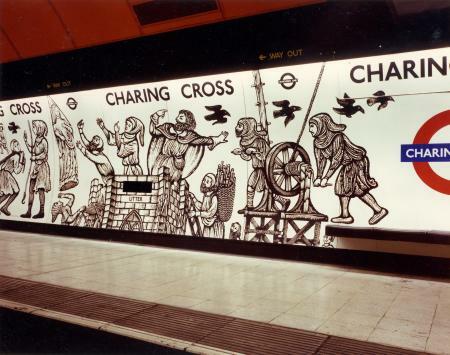 In anticipation of the new interchange station, from 4 August 1974 Charing Cross was renamed Charing Cross Embankment. 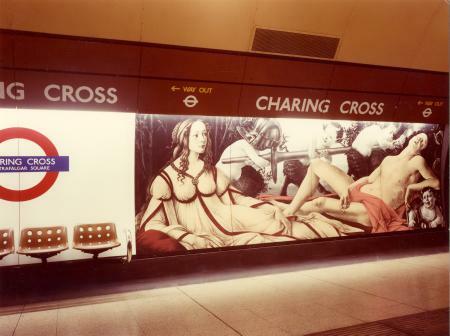 The Jubilee line platforms and the refurbished Northern line platforms opened on 1 May 1979 from which date the combined station including Trafalgar Square was given its current name; simultaneously Charing Cross Embankment reverted to the original BS&WR name of Embankment, ending 109 years of association with the name Charing Cross. The West End branch of the Northern line has been known as the Charing Cross branch since before the 1979 renaming, and this name has continued despite the change of station to which it refers. One of the entrances to Charing Cross tube station from Trafalgar Square. Although Charing Cross was constructed as the southern terminus of the Jubilee line, plans already existed to continue the line to the east towards Lewisham in south-east London. The tunnels were therefore constructed beyond the station beneath the Strand as far as 143 Strand, almost as far as Aldwych which would have been the next stop on the line. The subsequent regeneration of the Docklands in London's East End during the 1980s and 1990s required additional transport infrastructure and the eventual route of the extension took the new tunnels south from Green Park to provide new interchanges at Westminster, Waterloo and London Bridge stations and then on to the Greenwich Peninsula and Stratford. 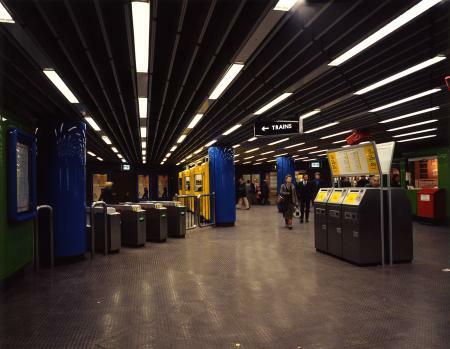 The new tunnels branch away from the original south of Green Park station and, on the opening of the final section of the line between Green Park and Waterloo stations on 20 November 1999, the Jubilee line platforms at Charing Cross were closed to the travelling public. For several years, the escalators continuing down to the closed platforms could still be seen through closed doors at the bottom of the escalators from the ticket hall; however, the windows have since been boarded up. The Jubilee line platforms are still used by Jubilee line trains as sidings to reverse trains from south to north; to do so southbound trains terminate and detrain at Green Park Station and are worked empty to one of the Charing Cross platforms. The tunnels also extend beyond the platforms into the "Overrun". Each overrun has the capacity to stable a further two trains each. As the Jubilee line platforms and track are still maintained by TfL for operational reasons, they can also be used by film and television makers requiring a modern Underground station location. While still open they were used in the 1987 film The Fourth Protocol, and after closure in numerous productions, including different episodes of the television series Spooks, the films Creep (2004), 28 Weeks Later (2007), The Deaths of Ian Stone (2007), Skyfall (2012) and the video for Alex Parks's single "Cry". In 2006, it was proposed that an extension to the Docklands Light Railway from Bank station would take over the platforms. Intermediate stations at Aldwych and City Thameslink would be opened, mirroring the planned route of the old Fleet line. In 2010, the concourse serving the platforms was used for London Underground's licensed busking auditions. 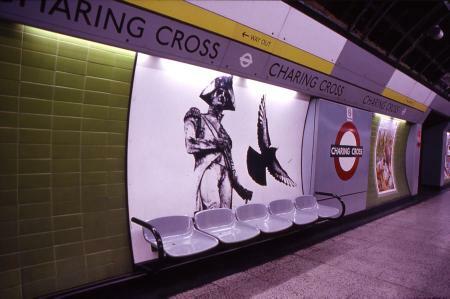 A 100-metre-long (330-foot) mural along the Northern line platforms was designed by David Gentleman. It shows scenes from the construction of the original Charing Cross, memorial of Eleanor of Castile, the wife of Edward I. Night Tube services commenced on the Northern Line in November 2016 but Charing Cross was not called at until the 29 June 2017. London Buses routes 6, 9, 15, 87, 139, 176 and heritage routes 15H and night routes N9, N15, N21, N26, N44, N87, N155, N199 and N343 routes. ^ "James Bond News :: MI6 :: 'Skyfall' night shoot at Charing Cross tube station (photos)". MI6-HQ.COM. ^ "James Bond News :: MI6 :: More explosive 'Skyfall' filming to take place in London today". MI6-HQ.COM. ^ Lomas, Elizabeth (2001). "96. David Gentleman". Guide to the Archive of Art and Design, Victoria & Albert Museum. London: Fitzroy Dearborn Publishers. p. 106. ISBN 1-57958-315-6. OCLC 46348785. Retrieved 31 July 2016 – via Google Books. Demuth, Tim (2004). The Spread of London's Underground, 2nd ed. Published by Capital Transport, in co-operation with London Transport Museum. ISBN 1-85414-277-1. Harris, Cyril M (2004). What's in a name?, 4th ed. (reprint). Published by Capital Transport, in co-operation with London Transport Museum. ISBN 1-85414-241-0. Wikimedia Commons has media related to Charing Cross tube station. The Charing Cross-Embankment-Strand conundrum explains the various names of the tube stations in this area. 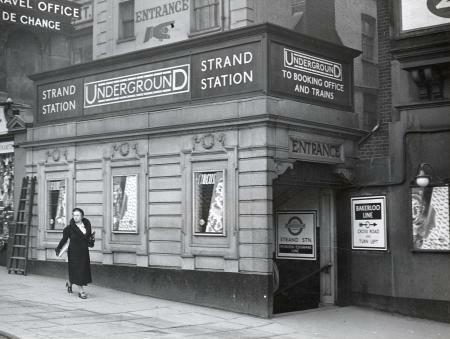 Craven Street entrance to Strand station, 1937. Note sign pointing way to Bakerloo line.